Sacramento Food Bank & Family Services (SFBFS), provider of food and support to 135,000 of the 242,000 members of the Sacramento community who are food insecure, just got more mobile. Its new, Produce for All truck can motor to a destination, and because of its nifty design, roll up its side doors and distribute food akin to a famers’ market. Anyone (no questions asked) can select fresh produce of their choosing from the open-air bins. The quality groceries come from regional farms and a variety of other sources. The traveling produce truck, on the road due to the generosity of a Sutter Health Community Benefit investment, is an important addition to SFBFS’ 224 partner agencies that help to expand food distribution throughout the county. Transportation to one, centralized food bank in the county is often an overwhelming obstacle for food insecure families. Those who must rely on public transportation, seniors, families, the working poor, the unemployed and the disabled, can find navigating the system challenging. When fresh produce can come to them, a healthier lifestyle is more likely. SFBFS’ Produce for All truck, transporting food from local growers and donors to as many as 300 families at any given stop, is also a neighborhood-by-neighborhood link to additional services such as CalFresh, employment, housing and healthcare. SFBFS’ Produce for All truck offers a robust calendar of regularly scheduled stops. To view a calendar listing of current Produce for All food distributions, visit: www.sacramentofoodbank.org/produce-for-all/. Sacramento Food Bank & Family Services (SFBFS) offers compassionate support and a compass for families navigating difficult times. With 15 diverse programs and services, a staff of 83 employees, several thousand volunteers and the financial support of the community, SFBFS guides families on their journey through support and education. Since 2014, SFBFS has served as the main food bank of Sacramento County. California Connections Academy @ Ripon is a tuition free, virtual public school serving students in an eight county region including Sacramento County. While students are widely dispersed and complete course work online, they do get together regularly for field trips. At the food bank Maria Zefo, food resource manager, showed the group around the facility on Bell Avenue in Sacramento. The food bank took over the building from Senior Gleaners around two years ago. “At that time, we were feeding about 50,000 people,” Zefo said. “Now we’re at 135,000.” Zefo took the group through several of the warehouses (there are five) to the one where the group would work. She filled them in on Sacramento Food Bank facts along the way. The organization serves Sacramento County via 220 other agencies who come to them for food and resources: churches, soup kitchens, food pantries, senior programs and more. The food bank itself does not dispense food from their facility, but they do send their trucks out to nearly 20 sites to dispense food. 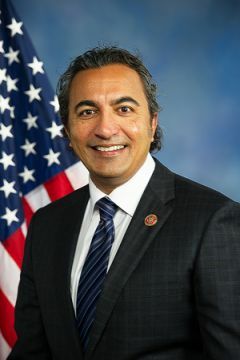 “We just completed hunger assessment for this county, what areas are not being served, where there is need and no agency, where we can go and pull up a truck and hand you some food,” Zefo said. The Sacramento Food Bank serves over 135,000 people a month via family services programs and food distribution. In 2015 donors provided 16,342,858 pounds of food and 175,124 clothing items. Nearly 8,000 volunteers gave close to 90,000 hours of service. Only 7 cents on the dollar goes to operating costs, so 93% of the food bank budget goes directly to programs. The national average, per Zefo, is only 80% directly going to programs. Those volunteers who turned up for the event were happy they were able to help. “We’re already going to start looking for an opportunity in the Bay Area, another area that our families hopefully can attend,” Hunt said. California Connections Academy @ Ripon opened in 2012 and is part of the Connections Education Academy, which was founded in 2001. In the 2015-2016 school year, Connections education supported 30 virtual public schools in 26 states, serving more than 65,000 students. For more information on California Connections Academy @ Ripon, call (209) 253-1208 or see www.connectionsacademy.com/california-online-school/about/ripon. 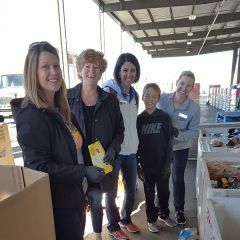 For more information on the Sacramento Food Bank, call (916) 456-1980 or see www.sacramentofoodbank.org. With the holiday season approaching, the California Department of Public Health (CDPH) reminds consumers to use safe food preparation and storage measures to prevent foodborne illness. Bacteria that can be found in foods such as meat and poultry may cause illness if they are insufficiently cooked, inadequately cooled or improperly handled. “We can help ensure that foodborne illnesses don’t ruin our holidays by properly preparing and handling meat, poultry and other foods,” said CDPH Director and State Public Health Officer Dr. Karen Smith. Foodborne diseases can be prevented by: washing hands with soap and warm water before and after food preparation, and especially after handling raw foods; cleaning all work surfaces, utensils and dishes with hot soapy water and rinsing them with hot water after each use; cooking food thoroughly and refrigerating adequately between meals. Symptoms of foodborne disease can include diarrhea, which may be bloody, vomiting, abdominal cramps and fever. Most infected people recover from foodborne illnesses within a week. Some, however, may develop complications that require hospitalization. Young children, the elderly, pregnant women and people with weakened immune systems are at highest risk for potentially life-threatening complications. 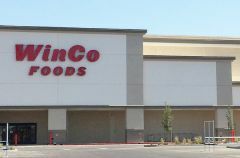 Employee owned WinCo Foods has announced the opening of its newest California supermarket, its 36th in the state and its 110th location overall, on September 3, 2016 at 2300 Watt Avenue in Sacramento. Known primarily for being the “Supermarket Low Price Leader,” the new WinCo Foods building is approximately 100,000 square feet and will be open 24 hours a day, seven days a week. It will be staffed by approximately 170 employees from the surrounding community. The store will contain WinCo’s trademark “Wall of Values” at the entrance, as well as a wide assortment of grocery items along with a full produce section and meat, deli, bakery and bulk foods departments. Another trademark aspect of WinCo supermarkets is the 700+ item bulk foods department. Selections in the bulk foods department can be purchased in whatever quantities the customer desires and includes a multitude of rice varieties, dried beans, pastas, baking ingredients, cereals, snacks, candies and pet foods. To learn more go to www.WinCoFoods.com. After three years of tireless advocacy, the healthy food incentive program Market Match got a boost yesterday as Governor Jerry Brown approved a state budget that includes $5 million for the California Nutrition Incentives Act. The Act is modeled after Market Match, which is increasing access to fresh produce among Californians who are struggling to feed their families, while giving an economic boost to the state’s embattled farm communities. The $5 million in state funds will attract federal matching dollars through the USDA’s Food Insecurity Nutrition Incentive program (FINI) and double the impact of the state’s investment. A broad coalition of over 200 non-profit organizations and individuals including Roots of Change, Latino Coalition for a Healthy California, American Heart Association, California Pan-Ethnic Health Network, Hunger Action Los Angeles and the Ecology Center, which administers Market Match statewide, worked over a three-year period to secure the funding. In 2014, the coalition’s first attempt didn’t make it out of the appropriations committee. Last year, the legislature passed the California Nutrition Incentives Act, which Gov. 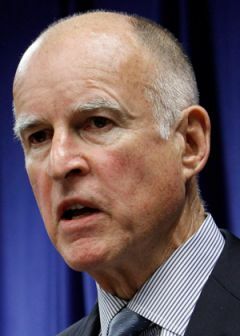 Brown signed, but he then axed the $2.5 million in funding that the legislature proposed for the program. “With this funding, the state of California has put its money where its mouth is in terms of supporting healthy eating for low-income families,” says Ecology Center Executive Director Martin Bourque. “The demand for Market Match has consistently outstripped the supply of funds. The additional $5 million will allow us to expand the program towards our goal of offering Market Match at every farmers’ market in the state,” he said. Established in 2009, by Roots of Change, Market Match works by providing CalFresh customers with matching funds when they spend their CalFresh benefits (i.e. food stamps) on fruits and vegetables at farmers’ markets. So a shopper who spends $10 of CalFresh benefits at the farmers’ market gets an extra $10 to spend on fresh produce. Participants in the program, both small farmers and low-income shoppers, strongly support the program. Among low-income customers, 70% report that they are buying more fruits and vegetable, and nearly 80% report that their family's health has improved. 81% of farmers report increased sales and 74% report increased income, thanks to Market Match. Founded in 1969, the Ecology Center is a nonprofit organization located in Berkeley, California that is actively working to create and promote an alternative food system based on the values of environmental protection, justice, and access to healthy, sustainably produced food for all. Out of an abundance of caution and with an emphasis on its customers' wellness and safety, HP Hood LLC is voluntarily recalling certain code dates of protein drinks from its Sacramento, CA, facility, due to the potential for premature product spoilage. HP Hood is voluntarily recalling specific products after identifying a possible packaging defect that may result in product spoilage during transport and handling. Consumers may notice that, in some cases, the packaging is bloated and product inside may have an off taste or odor. Consumers should not use the product, since it does not meet its high quality standards. The recalled products are limited to plastic bottles of 14 oz. and 10 oz. MUSCLE MILK® Genuine, MUSCLE MILK® Pro Series, MUSCLE MILK® 100 Calorie, with Best By dates of November 21, 2016 through May 23, 2017, with an "HS" in the code date. This recall applies only to the products listed below. The Best By and code dates are printed on the top of the lid of single serve bottles. No confirmed reports have been received of any consumer illness nor injuries to date. If a consumer has any of the MUSCLE MILK® products listed, they should return it to the store where they were purchased for an exchange, or call Customer Relations at 1-877-446-7635 Monday – Thursday 7:45 AM – 4:00 PM CST or Friday 7:45 AM – 2:45 PM CST.